As I mentioned in an earlier post, I have recently assumed teh position of Brand Manager of Creation Skateboards, from California. This means pretty much that I decide what the general style of the brand should be. This is right up my alley, since I have been doing graphics for them since 2004. Now I get a bigger chance to step up their game to the next level of evolution!! Anyways, the first step was to revamp teh webpage and that was launched today. Still many changes to be done, but we got a solid dent into it. Please support this brand, that pushes recycled wood and conscious graphics, so we can grow and keep expanding!! My new Satori Movement skate wheels are out!! 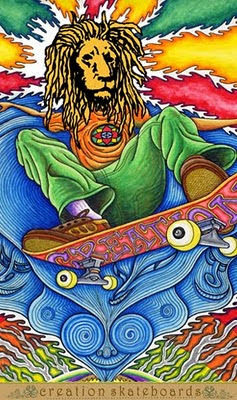 Depicting a shaman offering some Ayahuasca, it will roll under the very awesome Kenny Anderson, pro for Chocolate skateboards. Super stoked. Get yours at www.satorimovement.org !! 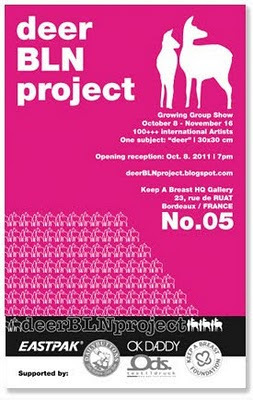 The 5th edition of the travelling group show "Deer BLN" will be going down from October 8th till November 16th at the "Keep a Breast" Gallery in Bordeaux, France (23, rue de RUAT). If you are there, don't miss out!!! 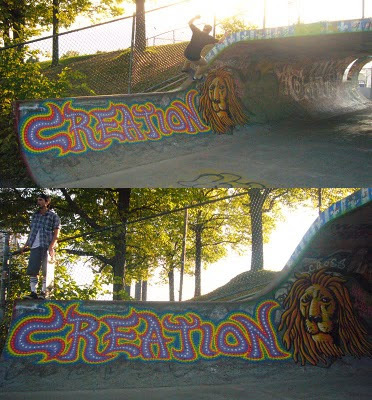 It is obvious that I like painting on classic skate spots, cause in that way we can all skate on the art itself. Yesterday I did this simple piece at the infamous Big O Pipe. 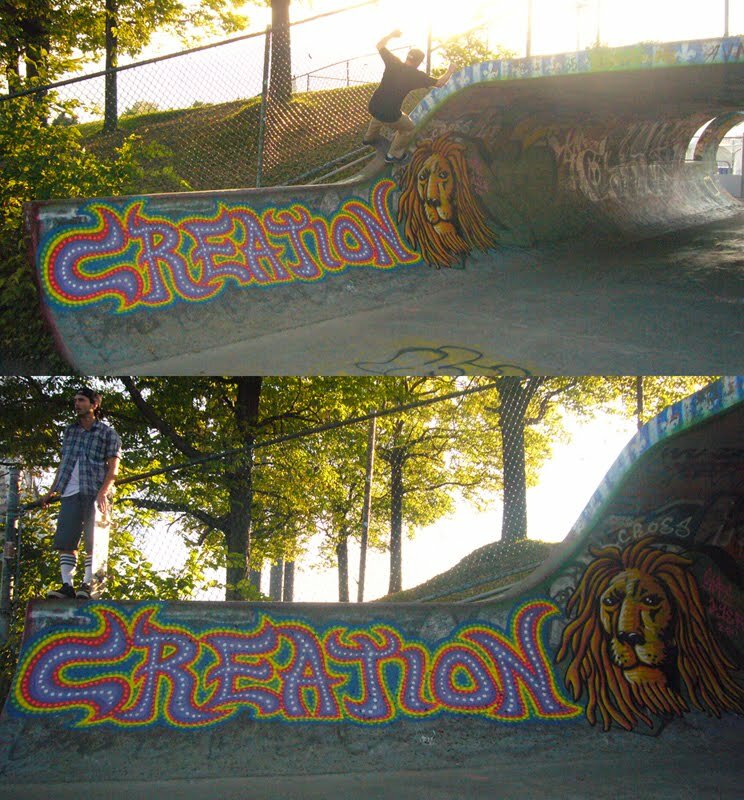 Lettering is not my strength but I wanted to big up Creation, the Cali skate brand I have been doing graphics since 2004. They are now promoting me to brand manager so I am stoked on the potential! 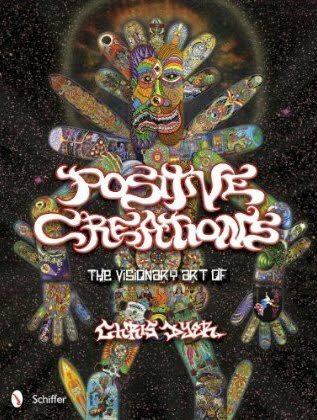 Creation also sets the intention for what I think skateboarding is about, as opposed to the stereotypical Destruction we're usually boxed in. In the pic Marc Tison shows a creative lip slide, with no destruction needed. 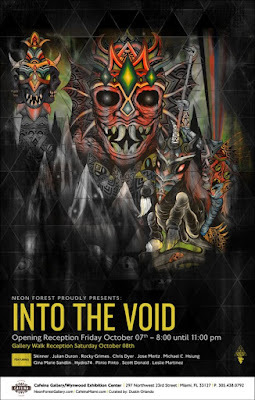 I was recently asked to make a concert poster for the popular jam-band STS9 (sound Tribe Sector 9) who will be playing the Georgia Theater on Halloween night. This poster will be sold by "Conscious Alliance" in exchange of cans of food to feed the hungry. If you're a fan of that band in that town, make sure to get this limited edition Poster!! I should have some for sale later on for those who can't make it there too. Holla! 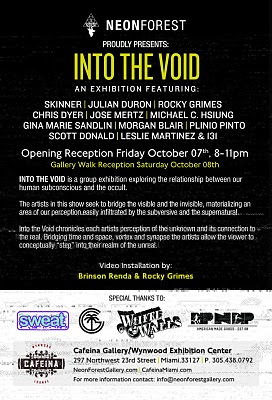 This coming October 7th is the opening party to a group show organized by Neon Forrest. 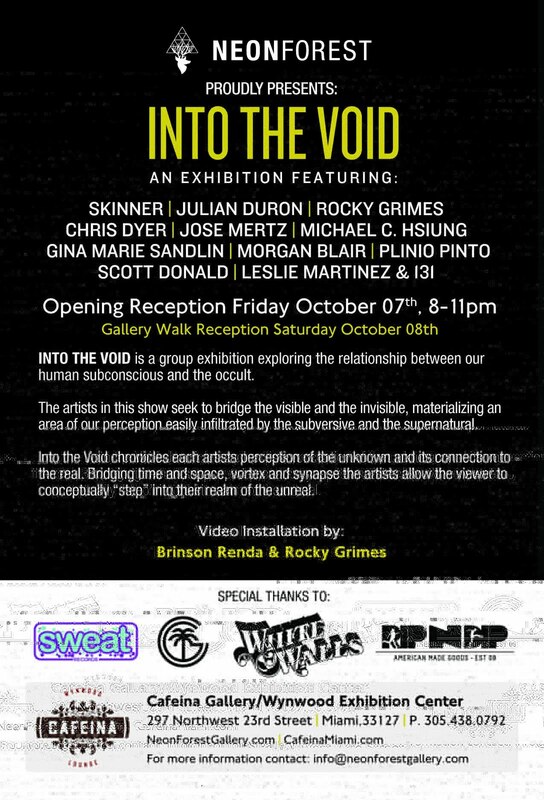 The exhibition is called Into The Void and I will be showing new paintings along awesome low brow artists like Skinner, Jose Mertz, Hydro 74, etc. 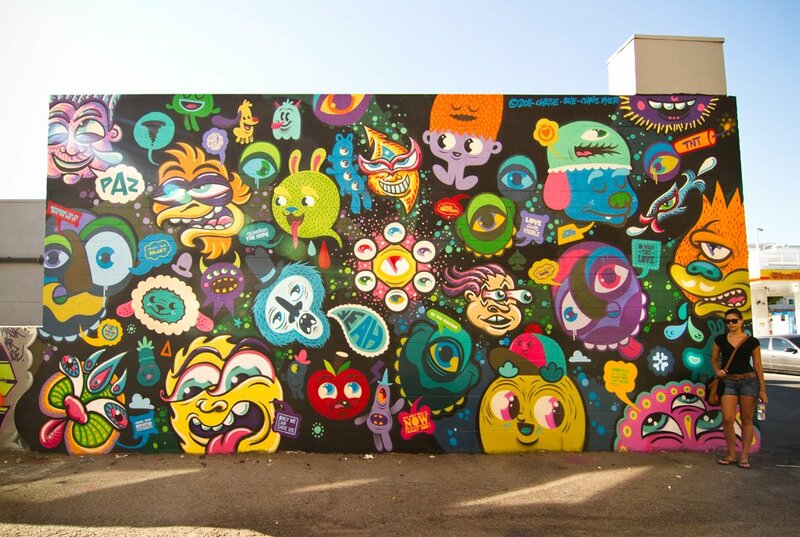 It will happen at Cafeina/Wynwood Exhibition Center on 297 Northwest 23rd Street, Miami, Florida. For more details go to the FB event page HERE . Artist Profile: Chris Dyer from Satori Movement on Vimeo. Yesterday Satori Movement / Creation Skateboards dropped a lil video covering a day on my California tour. It starts with some shots of my sketchy skating in San Francisco, followed by me doing a quick spray paint piece at the DIY spot "Pink Taco", then a chill interview, finished by shots of my art at teh Old Crow Gallery in Oakland. Hope you enjoy!! This last week I was in Sacramento, visiting the famous Low Brow artist Skinner, who is better known for his psychedelic nightmare visions. We ended collaborating on a fun painting and you can see the time-lapse of it here, intertwined with a comedy skit we filmed together. Fun stuff n good guy.